"So where do we start?" Start with the word Sound Effect. Your probably now thinking, (“Where is this going?”). It`s going straight to the action. Before we get to the Effect part of Sound Effect, we need to go to the Sound part first. You may now be thinking (Or SHOUTING) Obviously. So let`s go straight to the action and take a closer look. "What would we do without a microphone?" The easiest way by far, is to use a portable digital recorder. The best ones allow us to record at studio quality, and most come with small high capacity Flash cards to store the sounds. 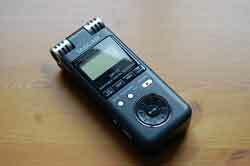 You can take a portable recorder anywhere; they are small and light weight. The best sounds to listen for are ones that are closest to the final sound that we want. However, transforming sounds into something completely different than the original is a major and fun part of Producing Sound Effects. Try to find unusual sounds that others will not think of. This is where I started when learning How To Produce Sound Effects. I love my Roland Synth (hardware synthesizer). 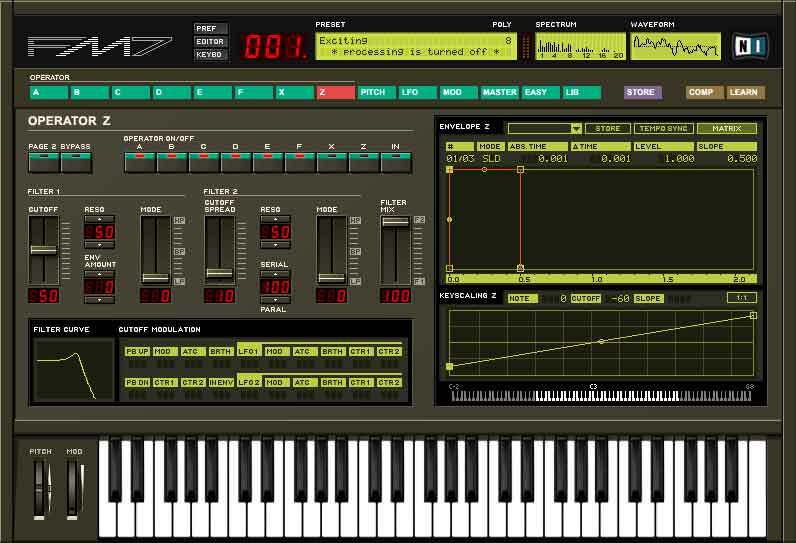 I also use a Software Synthesizer, commonly known as Softsynth. Software synthesizers (and hardware too) operate with different types of synthesis (the process they use to generate sound). The easiest and often the best type is the subtractive synthesizer. It starts with a rich sound, then uses a filter to filter out frequencies of the sound that we don`t want. We use this technique to sculpture and shape the sound the way we want. Whether we use a softsynth or a hardware synth, they will have an oscillator to generate the sound. These oscillators usually have more than one waveform (the shape of the signal). Each waveform produces its own characteristic sound. 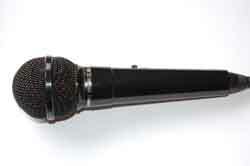 When Producing Sound Effects, oscillators and microphones are a fundamental part of generating and capturing sound. The moment we record sound and store it digitally, we are sampling. Sounds previously sampled can naturally be loaded into a sampler. 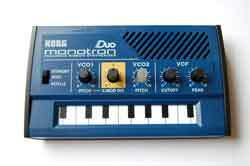 For example, Synth Samples that have been produced on a synthesizer can be loaded into a sampler to change the pitch. Sound Loops or (looping) can be used to make short sounds play as long as we want. Relax. It`s not as scary as it looks. When I got into Producing Sound Effects the word Modulation got me. I thought it was a mystical secret that only the pros new about, and I suppose it was at the time. I didn't know how it worked. In simple terms, modulation is just a process of using one control signal to control that of another (ex...the modulation lever on a keyboard/synthesizer can be used to bend the pitch). Modulation is a key factor when Producing Sound Effects. Just in case you ask (I did mean to write LFO and not UFO). An LFO (Low Frequency Oscillator) works similar to the sound generating oscillator mentioned earlier, except an LFO works below (slower) the range of our hearing (20hz hertz –to– 16-20khz (thousand hertz)). We don`t hear any sound from an LFO. Just the modulation effect it has on other sounds. A routing system (sometimes a modulation matrix) is used to route the LFO control signal to the destination that we want to modulate. 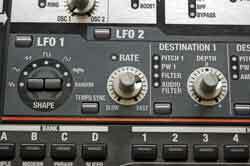 An LFO is a modulation device and is one of the main ingredients for producing sound effects. Every sound fits into its own Envelope. This is one character of a sound that allows us to tell the difference between sounds. An aeroplane approaching has a very long attack time compared to the crack of a snare drum, which has an almost instant attack time. These are the most common type of envelope. When producing sound effects, filters are used to filter out audio frequencies (sound vibrations that we can hear) in the signal and keep the ones we want. A Synth Filter is almost identical to an audio filter or (filter plugins). The only real difference is, an audio filter works on the sound after it’s recorded and a synth filter works on the sound in real time as the sound is being produced. A synth filter will often have keyboard tracking or (key follow). The frequency (ex...bright, dull, warm, rich) will remain constant as we play notes up or down the keyboard. The frequency will follow the pitch. A synth filter usually has velocity sensitivity. This means the harder you press the keys on the keyboard the Brighter or Duller the sound will be. This is because they are layered with other sounds. Each sound can have strengths and weaknesses. If we layer several sounds together we can bring the best of all the sounds together and make them into one big sound. It`s usually wise to use a digital audio editor to fix mistakes, or unwanted parts in our sound effects. As always, try to capture the best quality sounds at the source. This is a nice trick when Producing Sound Effects. With Midi (Musical Instrument Digital Interface) automation we can program a set of instructions and allow our softsynth or vst plugin effect to follow them (ex...We could record the movement of a filter cut-off, or mixer channel volume control). This information gets captured (on a midi track) in real time as we turn the filter dial or slide a channel fader. We can even edit this information after it is recorded. We could create our own unique set of controls or movements with a set of ramps or straight line graphs. The possibilities are endless. When an audio processor is used it will change the audio signal completely. When producing sound fx we may use a graphic EQ (graphic equalizer) to cut or boost audio frequencies to enhance the sounds. We may use a gate to cut the signal when its volume drops below a certain level. Producing Sound Effects and applying extra effects is exciting and allows us to create new and unique sounds. Beef up your sounds, make them cut through a noisy environment using dynamic range control. How? Use an Audio compressor. An audio compressor squeezes down the loud peaks in an audio signal. This reduces the dynamic range (the difference between the loud and quiet parts). Now we can turn the volume of the sound up and make it louder than the original, without introducing digital audio clipping (horrible distortion sound created when a signal is too strong for the device it is travelling through). Recycle your sounds and use them as many times as you can for as many things you can think of. I once read an article about a musician who boasted that he could make a complete music track from one single sound sample. At first I frowned at the idea, but technically speaking you can, and he did. When producing sound effects, If we have one single sound, we can use different parts within it and make them into separate sounds. We can also change those re sampled sounds and further develop them. On the other hand, if we have a long recording with lots of different sounds in it, we can chop up the long recording into individual samples. 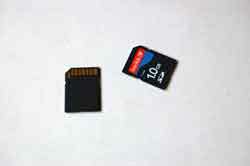 Put them on as many storage devices (ex...External disk drives, flash cards) that you can find or afford. Treat all your sounds as Precious, because they are. You can use them time and time again. Make a library of sounds that you can re call and use when you need them. “In the World of sound effects, anything is possible”. Organization should be an on-going task. I am always looking for new ways to become organized. "Learning How To Make Sound Effects is Fun and Exciting. With the technology available today, there are unlimited ways of creating sound FX, and an infinite amount of SFX that we can produce."